The incredibly easy, affordable, no compromises way to sell tickets both at the boxoffice and on-line! 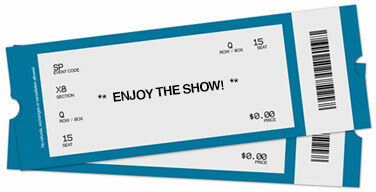 With our 100% private-label internet ticketing, patrons print-at-home and bypass the box office window. Best ticketing engine in the racing business. 24/7 customer support. This story is about one of our art house cinema clients that's been in continuous operation for over 100 years! Lebanon Valley Speedway Chooses ImagiTix! Diamond Ticketing Systems provides powerful ticketing software products and consulting services to a huge array of customers in a broad range of markets, processing millions of tickets at the boxoffice, on-line and on mobile devices. We know you need a serious ticketing solution that is not only incredibly easy to learn and use, but one that is breathtakingly fast and extremely flexible, all while being surprisingly affordable. The bottom line? Regardless of WHY you need to sell tickets to your events, we have the perfect ticketing solution to fit your needs. Why not get your free, no obligation demo today? UltraStar Cinemas has had a valuable partnership with Diamond Ticketing Systems since early 2002, and I couldn’t be happier. We’ve found that DTS offers us the flexibility, performance, responsive tech support, and attention to detail that we need to maintain our positive image in our incredibly competitive marketplace. Diamond has kept up with current technology, they listen to (and usually implement) my ideas for new features, and they make us look great when our patrons buy tickets from us. The relationship has been, and still is, a huge winner for UltraStar Cinemas. I can’t thank Diamond Ticketing Systems enough for how they helped take our box office to a whole new level this year. When you are dealing with 7,000+ ticket sales every week, it is a great feeling to know that they have your back. We sold more tickets online every week during the season and during the playoffs were up to 30% online ticket sales! Considering that number last year never got close to 1%, it was an awesome way to relieve my work load and help the customer have an easy and secure process! When I found the Diamond Ticketing System, I really thought the whole thing was too good to be true. For starters the website is full of information that is easily explained in terms that the average person can understand. Secondly, the sales department and tech department are very adept and friendly. They worked extremely well in conjunction with me while I was getting this up and going for the first time. As this is the first time ever computerizing the ticket system at Lebanon Valley Speedway, which has used the same confusing “paper” system for over 60 years, there was a lot of pressure on me to not fail on this project. The staff at Diamond Ticketing were GREAT at helping me every step of the way. Diamond Ticketing has been CenturyLink Arena’s ticketing provider for the last three years and we have experienced a great relationship in that time. Their response to our requests for new and exciting upgrades has been excellent. The online purchase site is user friendly and promotes that avenue so the box office can reduce staff. The windows based software has made training a new ticket seller in the box office fast and simple. Selling is fast and easy so long lines are almost never an issue... We look forward to the continued great relationship with Diamond Ticketing. Diamond Ticketing Systems helped us take our ticketing operations to a whole new level. We went from having long lines and frustrated patrons to having a streamlined ticketing process that got people in quickly and effortlessly. What a difference ImagiTix has made in our ticket office! As the manager of a college ticket office, I have an ever-changing student staff and limited time in which to train them. The system is so intuitive and easy to use that new employees need very little time to go from trainee to ticket seller. As one of my staff said about ImagiTix, "the way it sells tickets just makes sense." The powerful reporting function and patron management system makes it possible for me to have all of the information I need to make strategic and marketing decisions. The online and phone support provided is prompt and skillfully handled. And my patrons love it! What more could I ask? Thank you ImagiTix. Diamond Ticketing made it possible for us to achieve a 10 year goal which was to bring our theaters into the current century with the ability to do computerized ticketing, online ticketing, advanced ticket sales and assigned seating. We have had a few issues, but the people at Diamond Ticketing and Veezi have been very helpful in finding solutions in a timely manner.